Draft: 2006, San Francisco Giants, 19th rd. September 15, 2014 Richmond Flying Squirrels activated CF Tyler Graham from the 7-day disabled list. August 31, 2014 Richmond Flying Squirrels placed CF Tyler Graham on the 7-day disabled list. July 21, 2014 Richmond Flying Squirrels activated CF Tyler Graham from the temporarily inactive list. July 18, 2014 Richmond Flying Squirrels placed CF Tyler Graham on the temporarily inactive list. April 2, 2014 CF Tyler Graham assigned to Richmond Flying Squirrels. March 9, 2014 RF Tyler Graham assigned to San Francisco Giants. January 10, 2014 San Francisco Giants signed free agent OF Tyler Graham to a minor league contract. November 29, 2013 OF Tyler Graham assigned to Bravos de Margarita. July 6, 2013 Rojos del Aguila de Veracruz released OF Tyler Graham. June 22, 2013 Rojos del Aguila de Veracruz signed free agent OF Tyler Graham. November 2, 2012 LF Tyler Graham elected free agency. October 25, 2012 Arizona Diamondbacks sent LF Tyler Graham outright to Reno Aces. September 1, 2012 Arizona Diamondbacks selected the contract of Tyler Graham from Reno Aces. July 30, 2012 Tyler Graham roster status changed by Reno Aces. July 13, 2012 sent LF Tyler Graham on a rehab assignment to AZL D-backs. May 17, 2012 LF Tyler Graham assigned to Reno Aces. May 14, 2012 Arizona Diamondbacks signed free agent LF Tyler Graham to a minor league contract. May 7, 2012 San Francisco Giants released LF Tyler Graham. 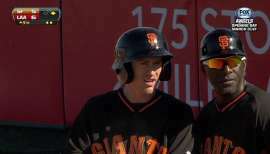 May 1, 2012 San Francisco Giants designated LF Tyler Graham for assignment. May 1, 2012 Fresno Grizzlies designated Tyler Graham for assignment. April 11, 2012 Fresno Grizzlies placed LF Tyler Graham on the 7-day disabled list. March 18, 2012 San Francisco Giants optioned LF Tyler Graham to Fresno Grizzlies. November 18, 2011 San Francisco Giants selected the contract of Tyler Graham from Fresno Grizzlies. October 10, 2011 OF Tyler Graham assigned to Tomateros de Culiacan. July 8, 2011 Tyler Graham assigned to Fresno Grizzlies from San Jose Giants. July 2, 2011 Tyler Graham assigned to San Jose Giants from Fresno Grizzlies. March 16, 2011 OF Tyler Graham assigned to San Francisco Giants. October 8, 2010 OF Tyler Graham assigned to Leones del Caracas. May 5, 2010 Tyler Graham assigned to Fresno Grizzlies from Richmond Flying Squirrels. April 15, 2010 Tyler Graham roster status changed by Richmond Flying Squirrels. March 26, 2010 OF Tyler Graham assigned to San Francisco Giants. June 2, 2009 Tyler Graham assigned to San Jose Giants from AZL Giants. May 30, 2009 Tyler Graham assigned to AZL Giants from Fresno Grizzlies. May 8, 2009 Tyler Graham assigned to Fresno Grizzlies from Connecticut Defenders. May 4, 2009 Connecticut Defenders placed Tyler Graham on the reserve list. May 1, 2009 Connecticut Defenders activated OF Tyler Graham. April 27, 2009 Connecticut Defenders placed OF Tyler Graham on the reserve list. April 17, 2009 Connecticut Defenders activated OF Tyler Graham from the 7-day disabled list. March 31, 2009 Connecticut Defenders placed OF Tyler Graham on the 7-day disabled list.